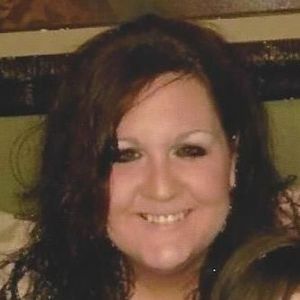 CENTRAL CITY - Kristin Rebekah McGrew, 30, of Central City, died Thursday, October 6, 2016, at 8:45AM at her home. Mrs. McGrew was born June 3, 1986, in Muhlenberg County. She was an occupational therapist and a member of New Harmony Baptist Church. She is survived by her husband, Patrick McGrew; step-daughter Alana Knight; parents Carl and Betty White of Greenville; sisters Kimberly Ann White of Memphis, IN and Kathy Michelle Sumner of Pensacola, FL; grandmother Loretta White of Greenville; and grandmother-in-law Anna Adkins of Brownsville. Funeral services will be Sunday, October 9, 2016, at 1:30PM at Tucker Funeral Home in Central City, with Rev. Clifford Lovell officiating. Burial in Woodland Cemetery. Visitation will be Saturday after 5:00PM at the funeral home. Online condolences may be made at www.tuckerfuneralhomes.com. The beautiful and interactive Eternal Tribute tells Kristin's life story the way it deserves to be told in words, pictures and video. Carl & Betty, So very sorry about your daughter's death. I know you are both people who love and trust the Lord. He hears your prayers and will continue to provide your needs. Love you both. I am so very sorry! It has been a long time, but I remember her kind heart and brilliant spirit. Please know my thoughts and prayers are with you during this time. May your heart wrap around her kindness and sunshine. Patrick I am so sorry for your loss. There are no words to express how badly I feel for you. I am sending you and your family my love. I am So sorry for your loss! Thoughts and prayers are with you all! There are no words, only silence of the heart, and prayers for you all on this dark journey, it is not the order of things that a child should die before the parents, but I do know that God takes the best first, and leaves the family behind to cherish the precious memories, heartbroken and sad and sending my love. We send our most sincere sympathy to each of you. We pray that God's peace will comfort you.